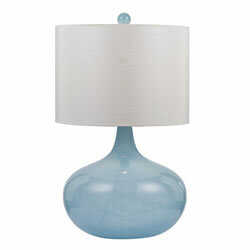 The Playa lamp in blue swirl is blown glass with brushed silver accents. The shade is a faux finish, printed paper, cream. No two are alike.